I used the hanging snowflakes image from "friendship jar: holiday fillers" and stamped them 3 times across my white mat in versamark ink. I then heat-embossed them all in silver. I colored each grouping, including the rhinestones, with a different blue-green copic marker. The main image was matted onto a sheet of silver cardstock, and then to a white card-base. The sentiment is from "in the meadow," and was stamped in black ink. I'm linking this card to the CAS-ual Fridays challenge - I used their sketch for my card. I used 3 lawn fawn sets: "silly valentine," "blissful botanicals," and "critters in the burbs." I created several masks for my smiley-apples and stamped them repeatedly into a large pile. They were colored in with copics. The leaves and tree were also stamped and colored with copic markers. I used the "lost & found Christmas" paper-pack, from My Mind's Eye - aren't they so rich and cozy looking? The sentiment is from PTI's "in the meadow," and the mug and spoon images are from Paper Smooches' "hot concoctions" set. To add to the cozy feel of the card, I distressed the edge of my white mat, beneath all the patterned paper, and sponged all the edges in "vintage photo" distress ink. PTI blog hop: christmas cozy. I used this week's MIM technique to layer sentiment stamps onto my kraft tag-base. I then stamped a whole sheet of paper with the larger gingham strip in SU's real red ink. Once the entire sheet was gingham-ed, I was able to make fast work of running my "in the meadow" dies through and ending up with this trio of gingham cuties. I die-cut just as many white tags as I did kraft tags, so that I could tear the bottom half to look like snow drifts. I gave each tag the finishing touch of holly leaves - the green leaves were embossed with an SU embossing folder, and the berries were given a hit of glossy accents. Love how they shine! I've created 10 of them so far, but I'll definitely be needing more of these before long! I'm also entering these into the current simon says stamp challenge: tags! If you're interested, here's a little peek into our holiday decorating - it's still a work in progress, but I hope you like it! embroidery hoops, leftover fabric, felt, and PTI dies. Love! If you've scrolled all the way to the bottom, thanks for looking! Thanks for looking! Come back tomorrow for the PTI blog hop! Apart from the button and the embroidery floss frame, the card only has 2 layers: a kraft card-base, and a mat of PTI's "guide lines grid cardstock." I used the negative of a mat-stack 5 shape to create a mask on my white paper. I then sponged in some tumbled glass distress ink and then stamped images from the set in various soft colors. The sentiment was added once the mask was removed. To stitch the frame all around, I used a little SU kit that comes with a paper-piercer and a paper-piercing template. I made the holes, and then made quick work of passing the pink floss through them all. This week's MIM challenge is to make a layered background, using sentiment stamps. I layered some "think big sentiments," and a few sentiments from "tiny treats: christmas" and "friendship jar holiday fillers." I stamped them in full strength, but kept them tone-on-tone to still treat them as a background pattern. To add some extra depth, I opted to stamp the hero arts envelope pattern background stamp over the whole red mat. I love that stamp so much - it's subtle, and adds the perfect amount of texture. My snowman duo was die-cut from the "in the meadow" dies and propped up with foam squares. The tiny snowflakes to the left of the "merry and bright sentiment" are from lawn fawn's "making frosty friends." I was asked to create a baby shower card, to match the event's "vintage winnie the pooh theme." I don't have any pooh stamps, so I had to think, think, think. I searched online and found some vintage pooh images, printed them up on a sheet of cardstock, cropped them with a circle punch, and aged them with some distress inks. I love the original winnie-the-pooh artwork. I know you can't really see it in these pictures, but the kraft cardstock base is stamped with a newsprint background, in versamark ink. I did a similar subtle stamping on the flag, and then stamped "baby shower" over-top in chocolate brown ink. This was a fun card to make! Now I've a "rumbly in my tumbly. Time for something sweet." Different color palette, faux stitching on mine, and some tiny other differences - but essentially, the same card. I love how switching up the colors can give it such a different feel! I used PTI's snowman die, and gave him center-stage on this card. I used my wonderful word dies for the "happy", and stamped "holidays" using a lawn fawn alpha set. I love his little rosy cheeks, like he's been playing outside for a little too long. I would warm him up with some hot chocolate, but we all know he'd make a huge wet mess in the kitchen. We get alot of snow in Montreal. It's not uncommon to be digging yourself out of a knee-deep bank that just happened to fall while you were shopping for a few hours... Canadian winter tip no. 1: keep a shovel in your trunk. I used lawn fawn's "making frosty friends" and stamped that adorable snowman and the little birdie, colored in their little parts and stuck them down with foam squares. The letters were cut out with my sizziz die, and adhered to the strip of different patterned papers. 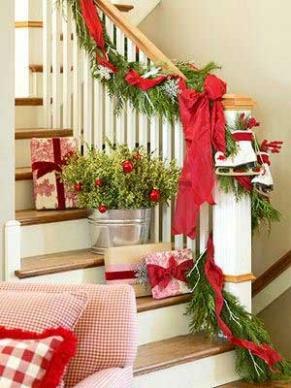 The holly leaves add a cute little touch to the top corner. ps. I'm featured on the lawn fawn blog today - like, just by myself! I did a double-take when I spotted my name in my google-reader feed - crazy happy! I used some PTI dies, an SU stocking punch, basic grey patterned papers, and some lawn fawn stamp sets. sigh. Christmas really does bring it all together, doesn't it? I used the PTI linen impression plate to add a subtle texture to the white of the cupcake. The sentiment (from lawn fawn's "plus one") was stamped onto white cardstock. I stamped the banner (from lawn fawn's "bannerific") and added a pink stamped layer of SU's "A to Z." The banner then got the snip-and-stick treatment, onto the cupcake base. This week's challenge on Nichole's blog is to add stitching around the negative of a die-cut. I didn't trust myself with a sewing machine for these delicate snowflakes, so I drew my stitching lines instead. I used my MFT snowflake dienamics to cut into a sheet of kraft cardstock. I stamped Hero Arts envelope pattern background over the entire area, and used a brown marker to add my stitching lines. The sentiment is from PTI's think big favorites. I love that font! I'm so thrilled to have a little shout-out on the paper-smooches blog today! By the way, we're thinking of putting up our tree soon... thoughts? chastisements? support? 10 gals, sitting around a large dining room table, (11, if you count the little lady who had to leave the party at 8pm) with crafting supplies flying everywhere is my idea of a great night out. Plus, there are usually baked goods involved, so... YUM! This card is so simple, but so elegant (in my opinion, right? wink.) I die-cut a christmas tree shape into a piece of cream cardstock and then embossed the negative with a woodgrain impression plate. Using an ink-blending tool, I rubbed some antique linen distress ink over the layer, bringing out the woodgrain pattern. Behind the cream mat, I stamped a piece of green cardstock with Marketstreet's vintage wallpaper background stamp. The top layer was adhered to this green layer using foam squares, to show off the 3D effect. Hanging from the kraft taffeta ribbon is a gold-embossed-tag, from PTI's holiday photo-finishers set. I love a card that looks more complicated than it really is. I used PTI's YOTF: poinsettias set, and heat-embossed the large flower twice. I cut out what I deemed to be the "top layer" of the flower, and adhered it to the bottom layer using foam squares. The greeting was also heat-embossed, and glued down on either side of the mat stack 5 cut-out. The whole card got a healthy dose of shimmer spray. If you're attending tonight's class, see you soon! And get ready to have shimmery fingertips - hee hee! Our current papertrey princess challenge is to create 5 "thankful" cards to give out. I've decided to pay-it-forward and create a box set of thank you cards to give to the hostess of my christmas card class tomorrow evening. but with the same smiling, happy flower faces! I'm also posting my set to the lawnscaping challenge. Thanks for popping by! One of my blogging buddies (I love making blog buddies!) remarked on how many lawn fawn stamps I've been accumulating (not enough, in my opinion - they're so darn cute) and wondered if I had "clear to see" in my stash. I do, I wrote back, and it hasn't seen ink yet! What to do, except invite another friend and organize a "clear to see" mini-blog-hop! So, here's the oh-so-extensive lineup for our lawn fawn mini-hop - hope you'll check us alllllll out, and leave some love along the way. Since we heard talk of early snow, I put on my cold-weather glasses for this one (groan, I know!) I used the folded glasses from "clear to see" and stamped them repeatedly to make my own background paper. I also stamped them to form the double "O" in "cool" onto my mat stack 4 shape. The "c" and "l" are paper-pieced, and from "quinn's abcs". My winter-dude was completed with the ear-muffs and scarf from "making frosty friends." I stamped the die shape with snowflakes from the same set, and stamped over the glasses on the background paper too. Come back tomorrow to see more lawn fawn cuteness!